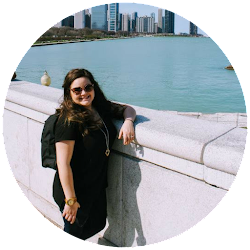 I recently had an issues scheduling posts and realized it was because my time zone wasn't set correctly. Since this was something that hadn't happened to me before (and I still don't know why my time zone changed), I thought it would be worth it to write out simple instructions in case this happens to you! 1. 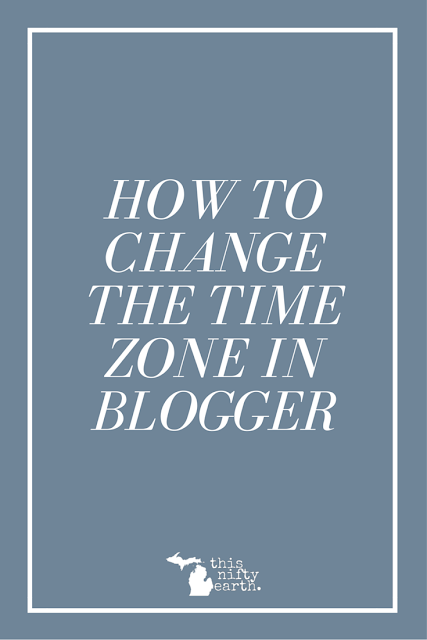 Log into your Blogger account and select the blog you want to adjust the time zone in. 2. Select "Settings" from the navigation bar on the left side of your screen. 3. 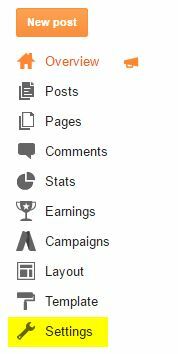 The "Settings" tab will expand. 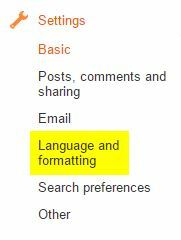 Select "Language and formatting." 4. 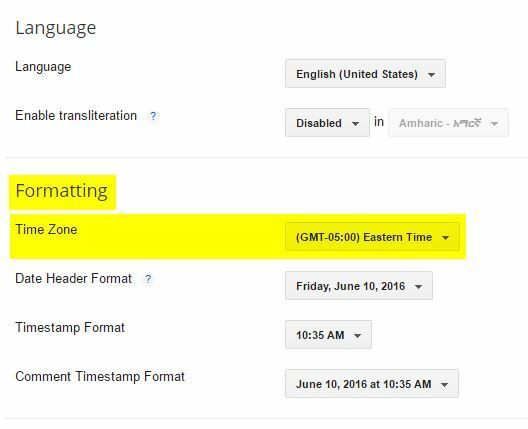 Under "Formatting" you can select your time zone from the drop down box. There you have it, folks! Super simple and possibly something you'll want to have in your back pocket if Blogger decides to wig out on you one day.